With the first sod of the Inland Rail project officially turned near Parkes on Thursday, local Federal Nationals MP Mark Coulton was pleased to see the nation-building project kickstarted. 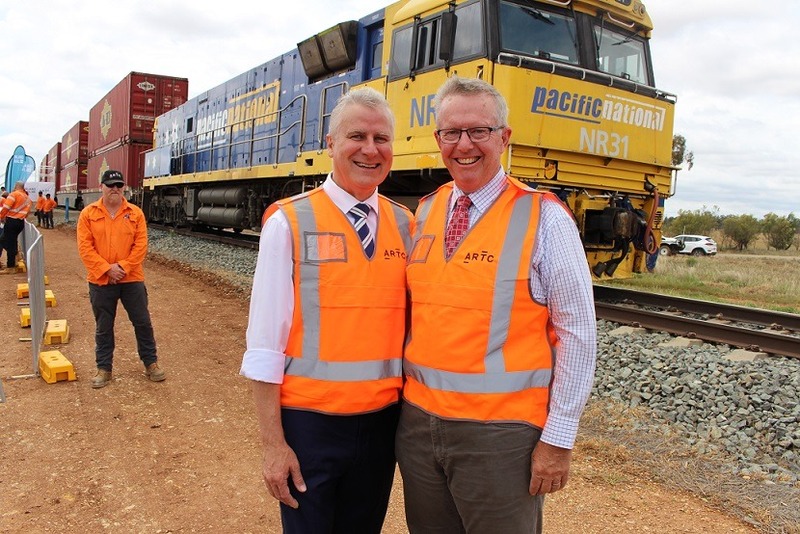 Deputy Prime Minister and Federal Nationals Leader Michael McCormack said the Inland Rail would deliver freight to market at reduced costs, putting more money in farmers’ pockets. Inland Rail will enable faster, bigger, double-stacked trains to move more produce into domestic and international markets, at a lower freight cost. The 1700km ‘corridor of commerce’ will open up inland regional communities to investment and export opportunities. • The Inland Rail project is a 1700 kilometre rail line between Brisbane and Melbourne which will enable freight to be delivered in under 24 hours. It is a $9.3 billion investment made possible by the Nationals in Government. • The construction contract for the Parkes to Narromine section of Inland Rail is worth more than $300 million and so far more than 14,000 tonnes of steel has been delivered to the site. • There are currently 187 live contracts for materials, goods and services worth $637 million associated with Inland Rail, including the manufacturing of 200,000 concrete sleepers.